Visual candy for exploration today with some tracks from one of my favourite desert island songs - On Verra Ça by Orchestra Baobab. First up is the impressive article and cover art "Wrappers Delight" by Alastair Johnston, first published in the design magazine PRINT. In it Alastair has pulled together a number of LP covers from the golden seventies and put together an essay on design sensibilities. Check it out here. Second up is a truly impresive labour of love showcasing Jamaican label artwork. Created by Ian and Mikey this was launched on May 23. FYI the site has 237 pages, over 1130 label scans and 72 sleeves. Check it here. The cover in today's post is from the original release of Orchestra Baobab's On Verra Ca? (PRODUCTIONS LEDOUX ASL 7001, 1978) that was re-issued by WorldCircuit in 1992. 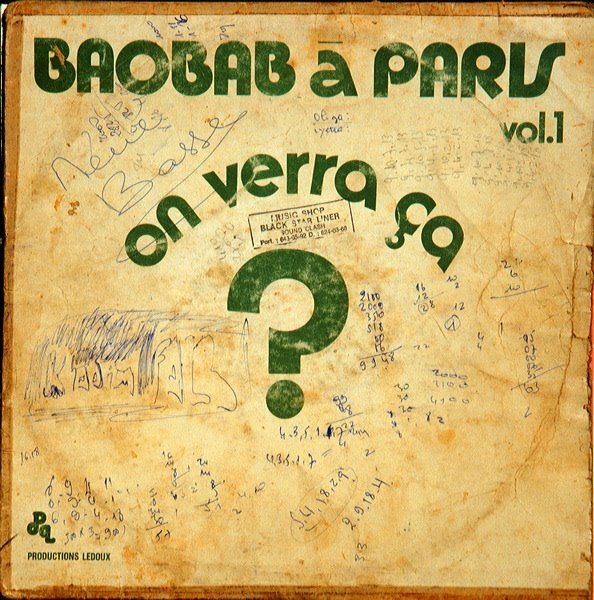 The song has become a bit of a standard in West Africa and I've included three versions from Baobab - the original LP recording from 1978 (Ndeleng Ndeleng, MUSICAFRIQUE MSC LP 001,1978), the Paris recording from 1978 and the re-recorded version from their recent Specialist in All Styles release. In addition there are versions from Toure Kunde and Ismael Lo.